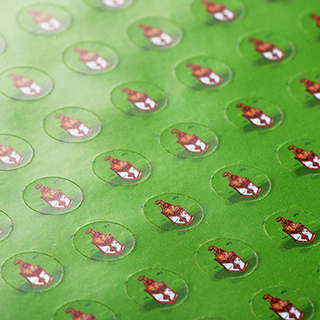 16mm Custom Stickers is popular with game designers. Cost effective solution for prototypes game such as custom dice and tokens. 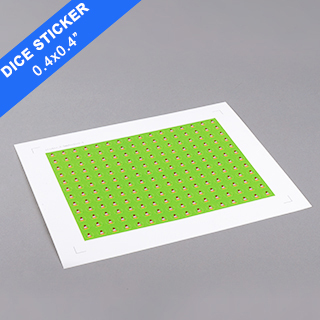 A low cost solution in creating custom dice, tokens, seals or used as your own branded stickers. 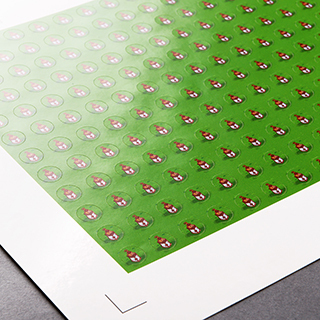 Custom stickers are easy to print and can be stuck to any surface you can imagine. 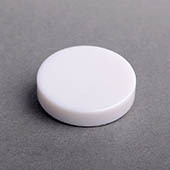 In addition it makes your new game looking professional for the retail mass market.BoardGamesMaker.com uses 85gsm material with all custom stickers. Choose optional coating Aqueous or varnish to produces a glossy look, also it acts as a protective coating. As a result the laminate coating will keep your printing looking professional and shiney. The stickers is permanent meaning that they will rip off unless by force. Most of all BGM custom stickers comes in different size to suit your need. Each sheet is 9" x 9" in size and have 144 stickers to a sheet. While each sticker is exactly 0.37" x 0.37" in size.